Over the years our complete wood shop has had many projects from building a shelf to the remodeling/refurbishing of complete interiors. 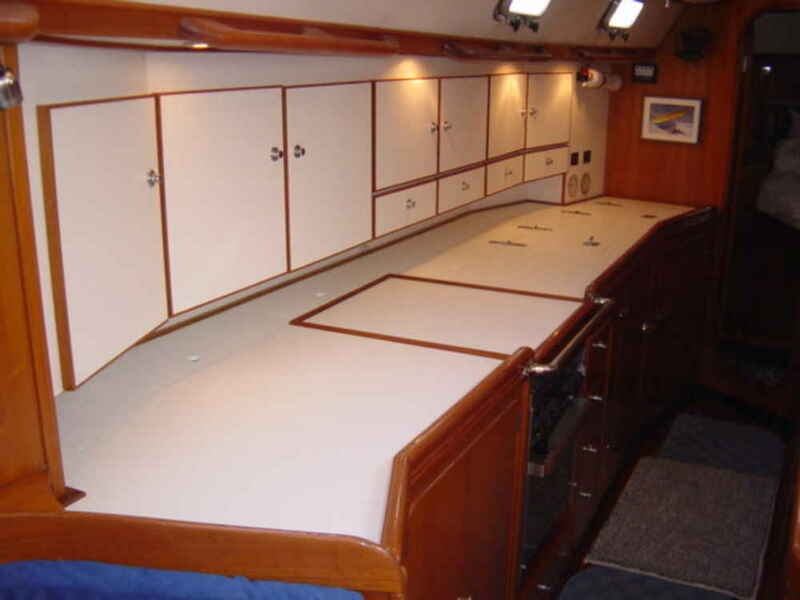 We are certified in the fabrication of custom Corian counter tops. Contracted to remove aft stateroom and convert it to a conference room. 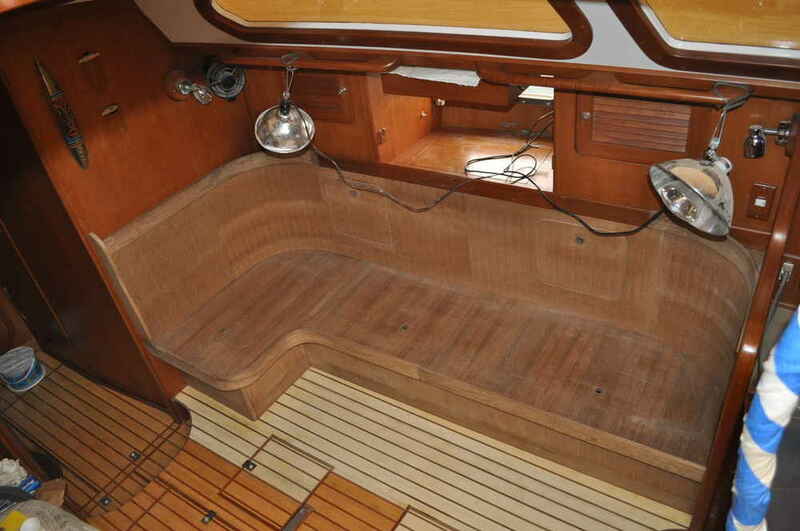 Yacht is owned by a corperation and needed a room for meetings. 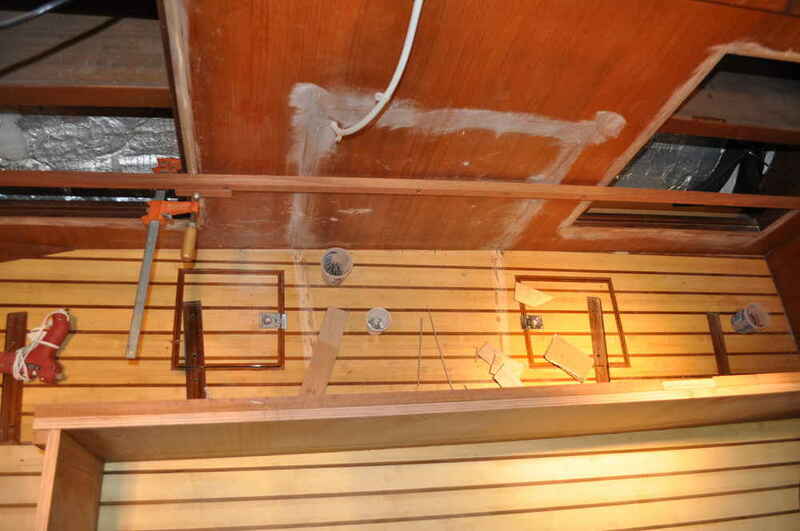 We removed most of the aft stateroom, bed, cabinets. 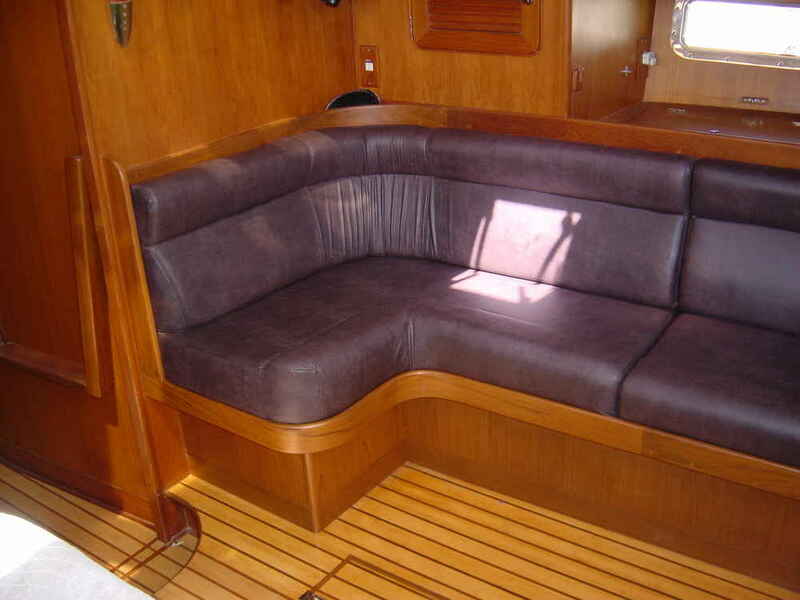 We then built in seating that can be converted to two berths. Fabricated a custom Musk burl conference table. We added LED strip lighting and overhead lights over table. Converted closet door for TV monitor that is connected to a pop-up in the center of the table. New carpet and softgoods were added. 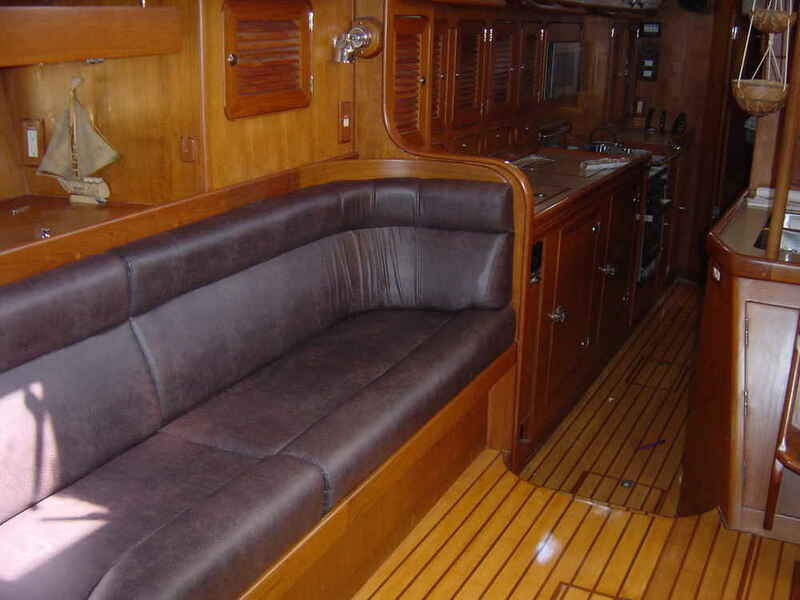 The Hylas 50 project consisted of converting two chairs in the main salon to a settee to match the port side settee. Over the winter , we removed two large chairs on tracks in the bamboo sole and a built-in table between them. We imported matching bamboo to repair the sole where the tracks had been. 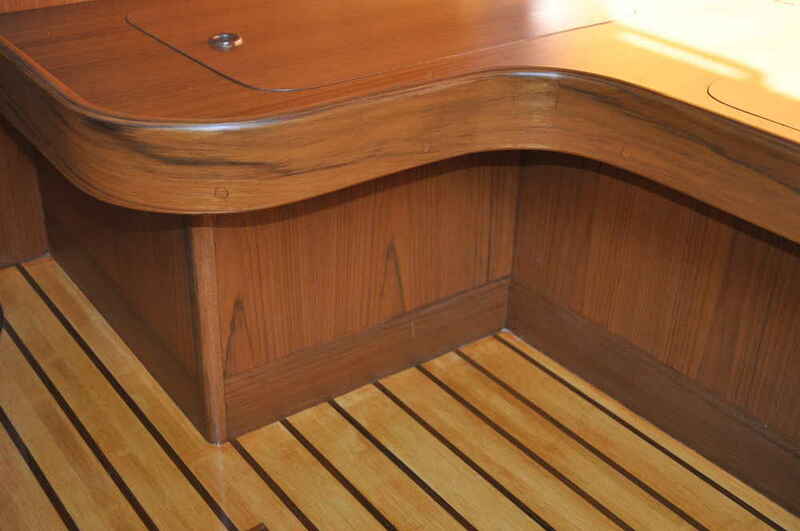 We then custom built a settee that matched the existing settee on the port side, by replicating the curved laminated teak trim and staining the wood to match the existing finish. 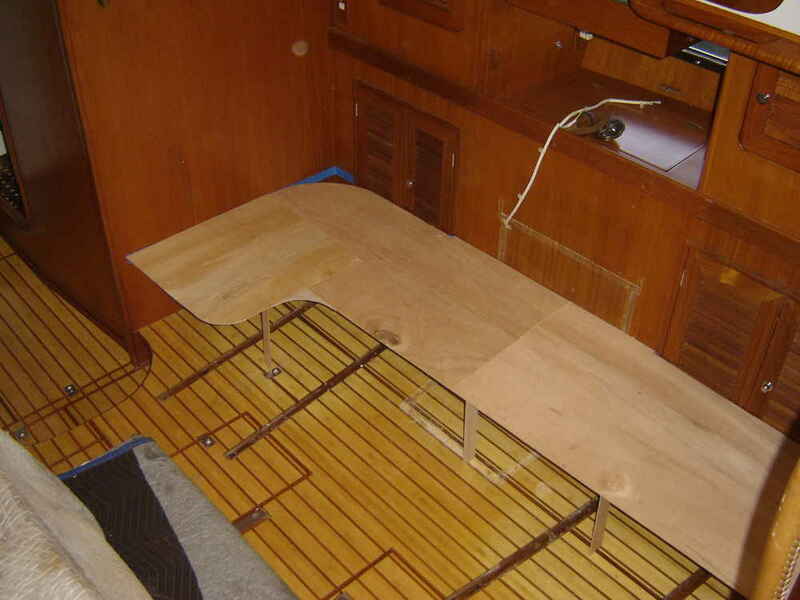 Mock-up for owners inspection, showing the tracks for the chairs that had to be removed and bamboo strips that had to be replaced. New bamboo flooring where tracks were. Edge detail of bamboo floor meeting up to existing trim. Settee base is fabricated and installed. Base installed with new sole. Template for sette top is made. 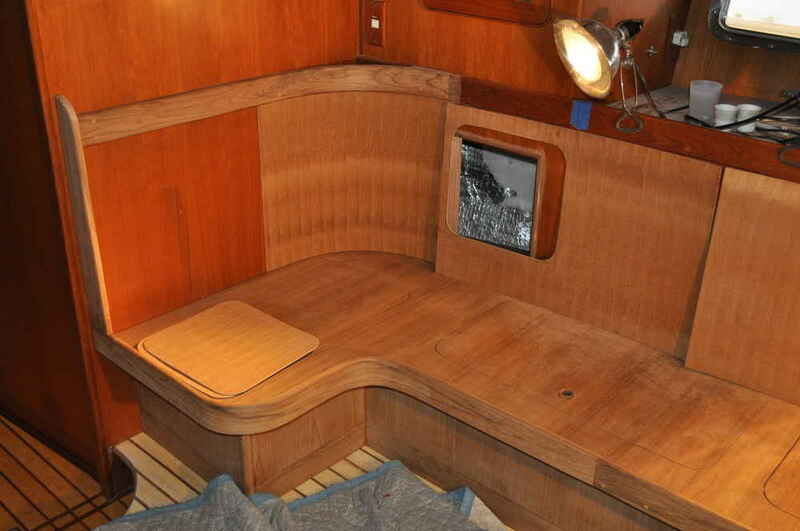 Laminated curved trim is in place with top. 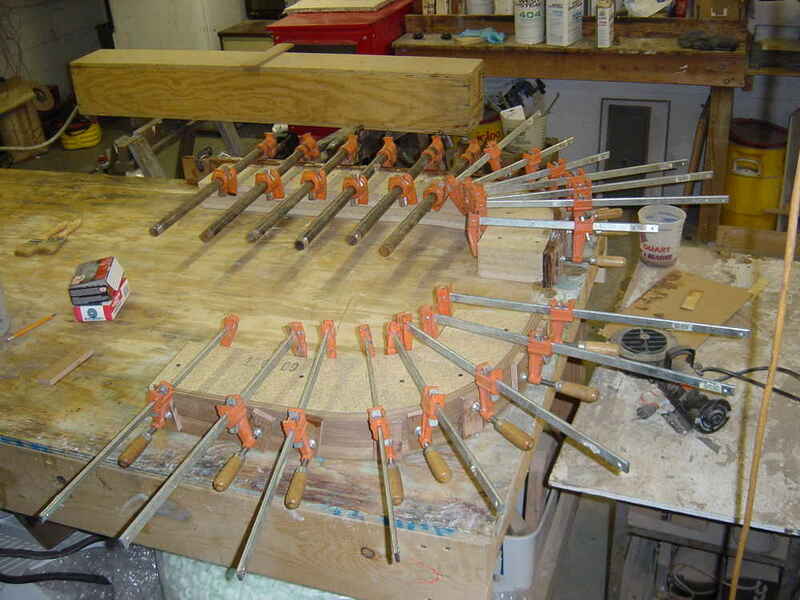 back rest is being fabricated. 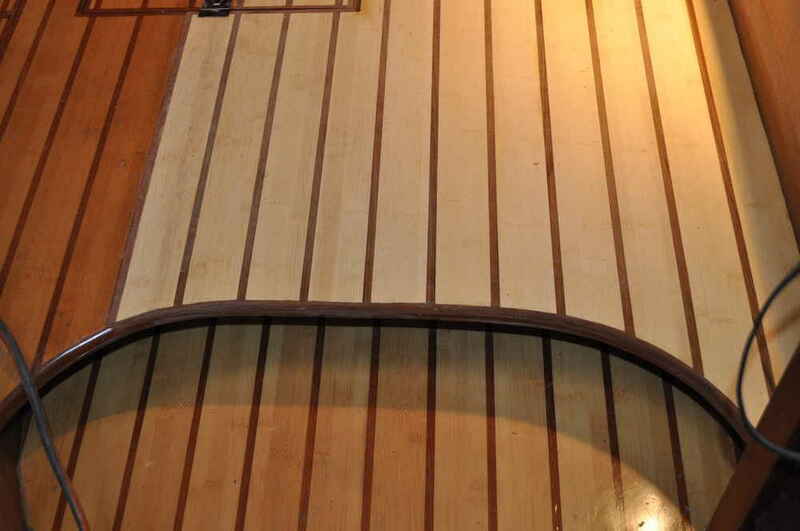 Detail of corner laminated teak trim. All woodwork is complete. Back rest hatches and seat hatches are fabricated for more storage. 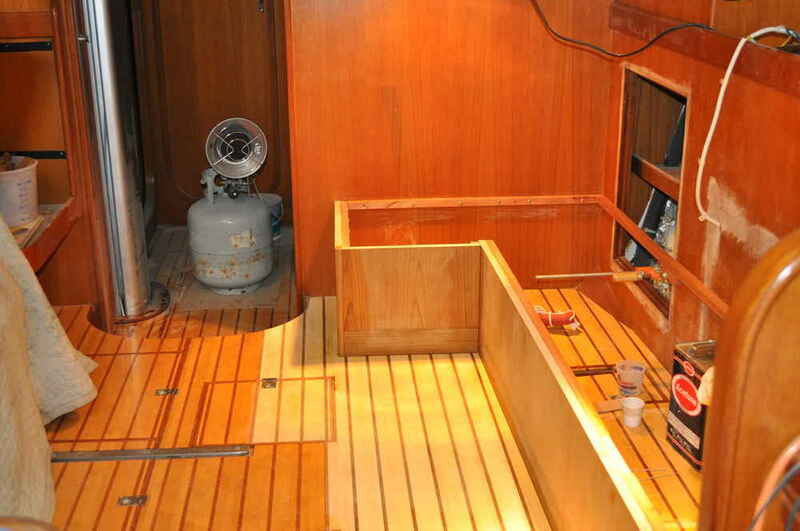 Detail of completed woodwork: showing stained and varnished teak to match existing woodwork. Bamboo sole has also been stained and varnished to match existing sole. Completed project with custom cusions. 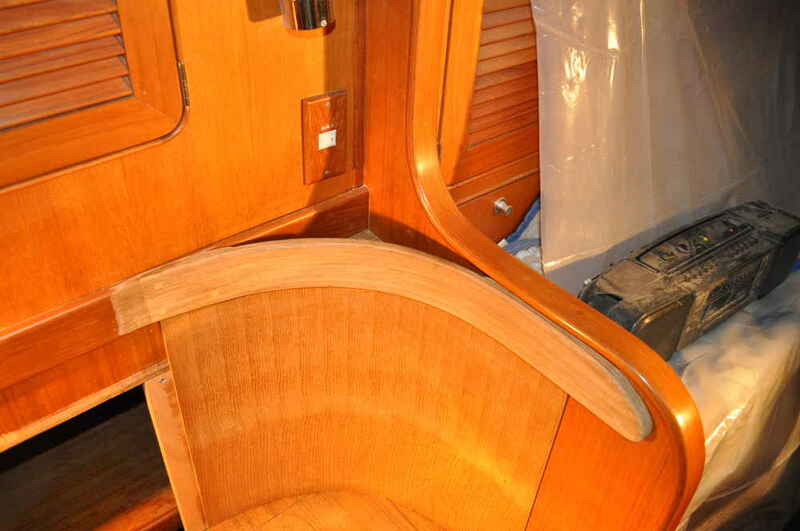 We were commissioned to fabricate custom laminated seamless oval door frames for a sail boat.